One of the most common Aikido problems by beginners. We all know how to knot our shoes, but how can it be so hard to do your obi properly? The answer is how you make the knot. 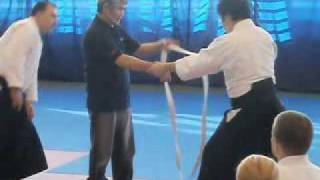 In this video Sensei Minoru Kanetsuka takes over an Aikido class and teaches you ‘how to’ and how ‘not to’.